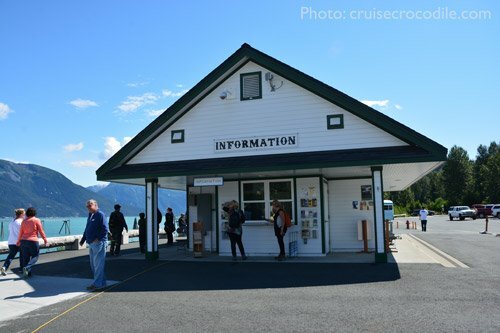 Our Haines cruise port guide gives you information about the docking location, cruise dock, transportation options and much more! 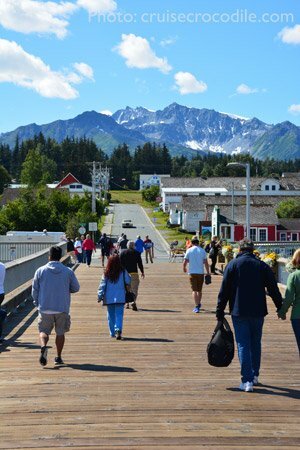 Welcome to the Haines cruise port guide. Haines is a simple authentic town of 2600 inhabitants in Southeast Alaska. It is the heart of the Chilkat valley, the historic capital of Tlingit Indian culture and art, the first permanent army base in Alaska and adventure capital of Alaska. Because Haines is not overflown by tourism it offers one of the best Alaskan experiences. Wildlife is abundant here with one of the largest populations of Bald Eagles and brown bears feeding on salmon in the world shortest river. Sea lions, seals, black bears, beavers, river otters, porcupines, orcas, humpback whales and 120 species of bird make this one of the best destinations for wildlife. The U.S. Army built up its presence in Alaska in 1903. For 42 years the first Army post was situated here in Haines. The remains of roughly 80 buildings today tell you the story of life at this post in this remote corner of the world. Haines is perfect for a combination of hiking, adventure, history and wildlife and because it is yet unspoiled we think this might just be the best destination in Southeast Alaska. This is the cruise pier in Haines. Walk off the ship, onto the pier and straight into the old town of Skagway. There is a visitors centre in Haines at the pier. Walk by for any kind of information on hiking, walking, museums and transportation. The cruise dock in Haines is right in front of the historical centre of Haines. Just a few blocks up the small hills is where you find the parade grounds and the heart of Fort William H. Seward. Downtown Haines is about half a mile to the right hand side coming off the dock. Haines is easy to navigate by foot, but the town of Haines also offers a shuttle service. It can bring you all over town. They have stops at the Cruise dock, Fort William H. Seward Historic District, Eagle Foundation, Visitors centre, Downtown and Dalton City Brewery. Coming off the pier you will see a bicycle rental facility to your right hand side. A little further up the road is where you will also find scooter rentals. From Haines you can reach Skagway by ferry. This takes about 45 minutes. Please note the ferry goes +/- every 2 hours and capacity is limited. Buy your ticket online through www.hainesskagwayfastferry.com or on board. The ferry pier is right next to the cruise ship dock. See its exact location marked on the map. Haines is an amazing town and known for its wildlife and adventure. 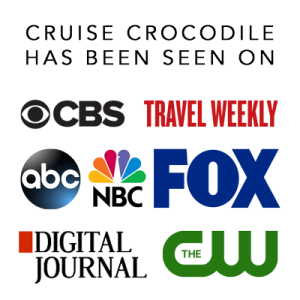 We do recommend to book a tour on the ship or to pre-arrange an excursion before your cruise starts to be sure you are making the most of your day. Tour options offered on shore side are very limited. You will find a couple of cafe’s in downtown have free wi-fi. Most restaurants near the pier and in the historical centre have paid wi-fi hotspots. Like Fireweed Restaurant and Fort Seward Lodge. These cafes are a 3 minute walk from the cruise dock. When you walk off the pier, take a look to the right hand side. About 1 block from the dock you will spot this building where you will be able to find bicycle and motor/scooter rental. 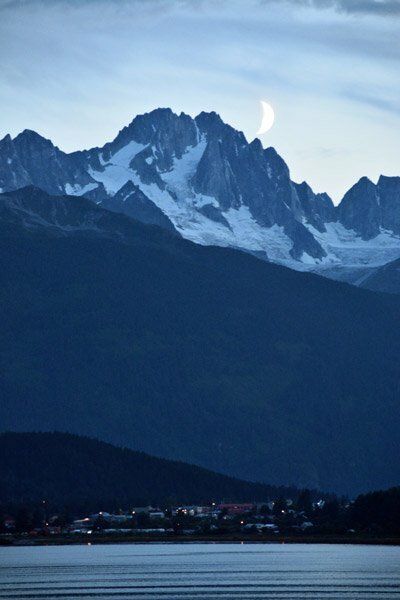 There are many hikes you could do in Haines that can take you to breathtaking viewpoints and incredible landscapes. Walk to the Portage Cove Wayside or Battery Point for example. Always make sure to pass by the Visitors Centre on the dock for the last update on the trail and a hiking map. There is a small cruise dock available in Haines. Ships dock right in front of this small town and from here you can easily navigate the town by foot. 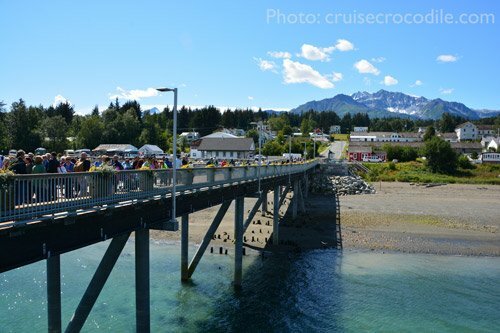 The Haines cruise dock offers tourist information and some limited transportation options. Read the full Haines cruise port guide for all your options. This micro-brewery makes very unique ales made with local ingredients like trees. Yes, trees. They use the Sitka Spruce for a delicious ale full of vitamine c. Find the distillery about 25 minute walk from the dock or take the local shuttle bus to it. The heart of the historical town of Haines is the Parade Ground. Most of the historic buildings are situates around this square where back the days the troops were drilled. Find it a few minutes walk from the cruise terminal. Find a new respect for hammers. This small museum has over 2000 hammers from all over the world on display. This museum is about 10 minute walk from the dock. The local shuttle bus also makes a stop here. Sailing into Haines is an experience you cannot miss. Your ship will be sailing in one of the largest fjords of North America. Be surrounded by the snowy mountain tops, bald eagles and glaciers in the far distance. Make sure to be on the outside deck 1 hour before arrival and for about 1 hour after departure. Pick up this folder at the visitors centre. It holds all kinds of interesting information about the history of Haines as the base of U.S. army in Alaska. Guide yourself through town and read about the story behind every single building in this brochure. The town’s old bakery has now been transformed into the Port Chilkoot Distillery. Visit it for a great tasting of fine spirits and whiskey. Especially their gin comes well recommended. The town of Haines offers a shuttle service when a cruise ship is in. It can bring you all over town. They have stops at the Cruise dock, Fort William H. Seward Historic District, Eagle Foundation, Visitors centre, Downtown and Dalton City Brewery. This non-profit organisation is dedicated to preserve the local art and culture. Visit their gallery of Alaskan art or see one of the many totem poles in town that have been created by them. The Alaska Indian Arts building is a 5 minute walk from the dock. Visit the museum to see the beautiful collection of Chilkat weavings and exhibition of pioneer history. The Sheldon museum is a 10 minute walk from the dock. You can also catch the local shuttle service to it.